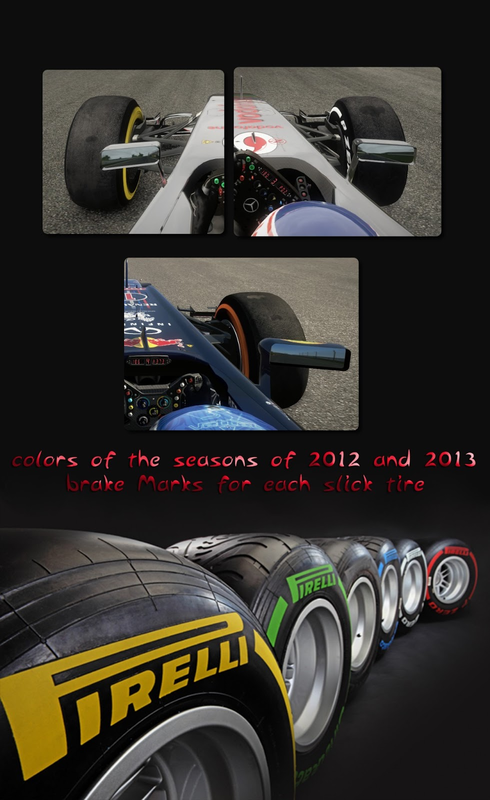 new tire line, this time with the installer to choose the colors of two seasons, 2012 and the new 2013 season, where the hard tires gained a new color! nova linha de pneus, desta vez com instalador para escolha de cores de duas temporadas, 2012 e a nova temporada de 2013, onde os pneus duros ganharam uma nova cor ! 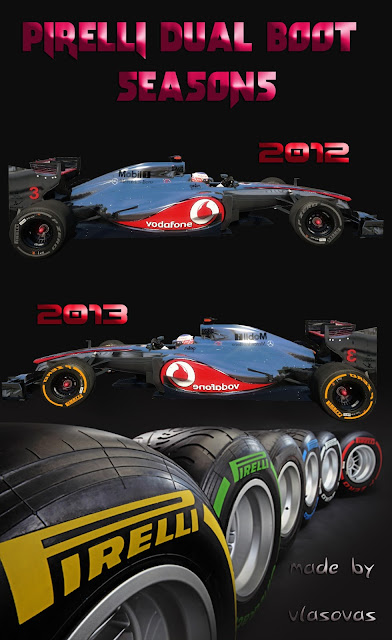 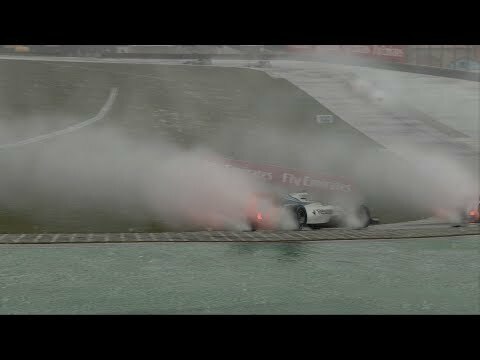 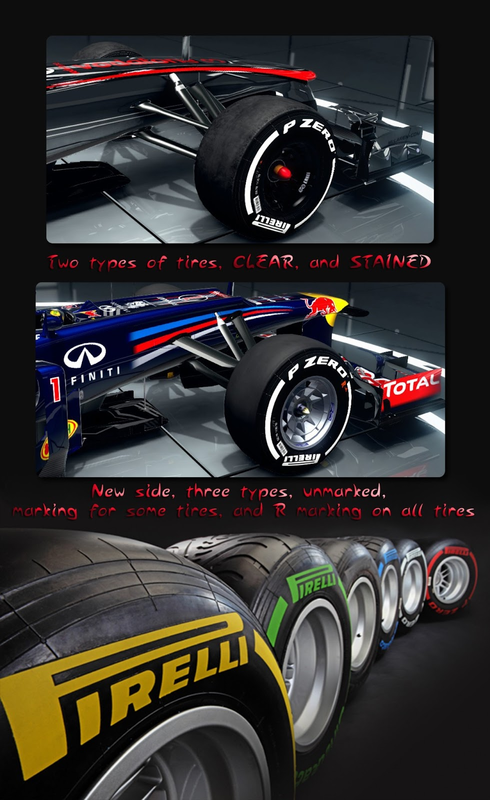 Please release an updated version of these tires for F1 2013... 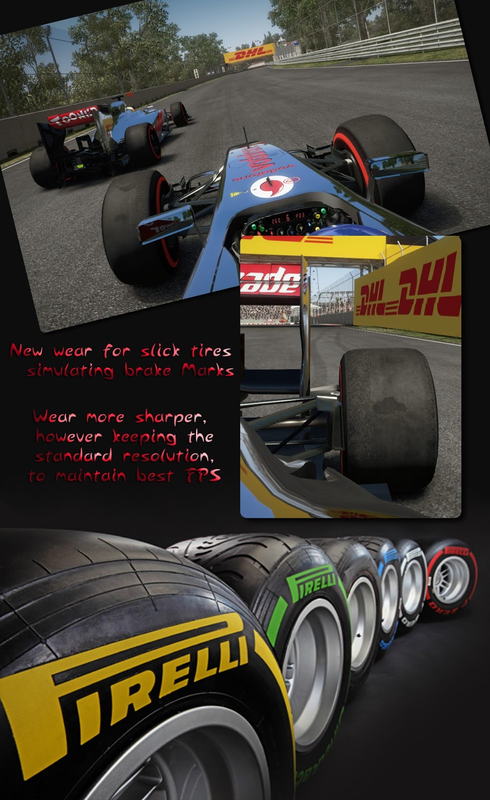 I love your tires and use it in F1 2012...they are almost photoreal and add a lot to the game.